Canteen loses his footing and Bailey tumbles down a cliff, but God is always watching out for them and sends an angel to help. 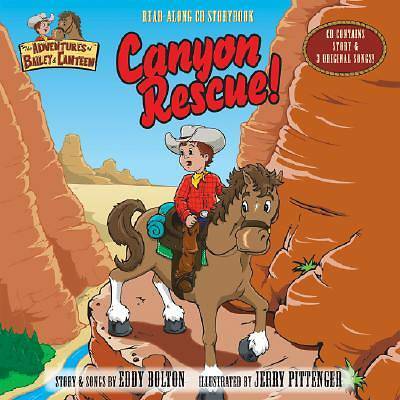 The Adventures of Bailey & Canteen(TM) teaches about God's love and kindness through lively cowboy tales and songs. Each book includes a CD that contains a story and 3 original songs. The Adventures of Bailey & Canteen(TM) is a trademark of Eddy Bolton.